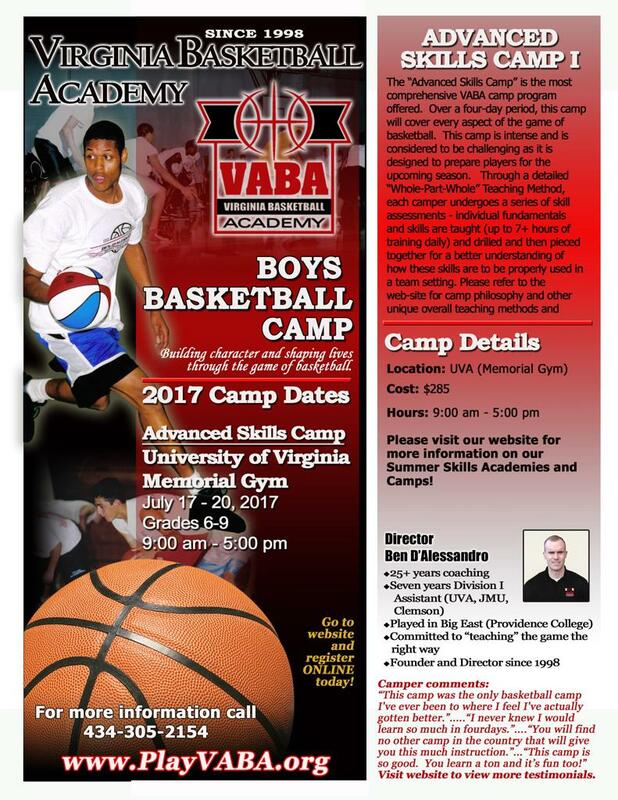 Check out VABA's 2017 Advanced Skills Boys Camp I! DEVELOPMENTAL, CHALLENGING & INDIVIDUAL FUNDAMENTALS! Click here -->for Advanced Skills Boys Camp I details!